One of the most challenging aspects of eating low-carb is cutting back on foods you enjoy—many of which have likely become a regular part of your diet. 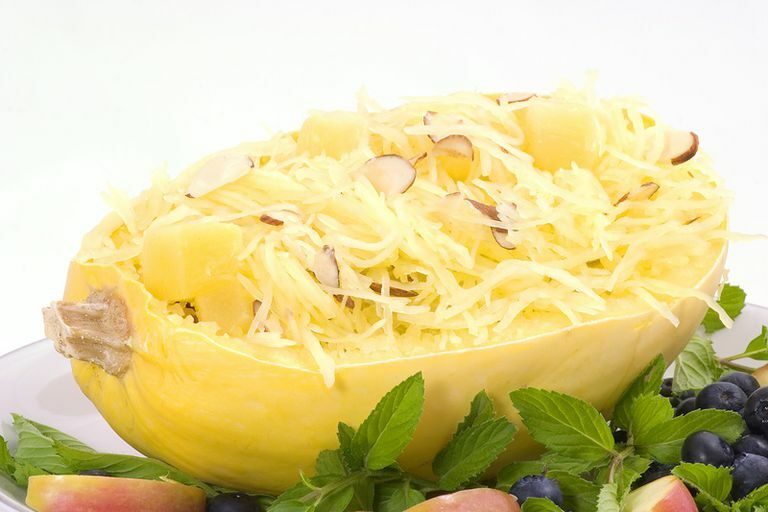 Coping with carb loss can be tough, but there are many satisfying and tasty low-carb substitutes you can choose instead of their high carbohydrate counterparts. Whether you are adopting a temporary low-carb diet or looking to make a permanent lifestyle change, these low-carb swaps for popular foods can help you make choices that better align with your dietary goals. Bread has long been a dietary staple of humanity, but most of us aren’t making our daily loaf from scratch. Some popular sliced bread you can buy at the store aren’t just high in carbs, but don’t offer optimum nutrition and may be loaded with hidden sugar and sodium. If you want to reduce or cut out bread, you’ll have plenty of versatile alternatives to a standard white loaf to choose from. Many well-known brands have low-carb sliced bread, pita bread, hamburger buns, and tortilla options. Check the ingredients and other nutrition information, as these options can have added sugar or negligible nutritional value. For snacks, look for high-fiber crackers and crisps made with rye, whole wheat, sourdough, or multigrain, nuts, or seeds—and be sure to check the serving size! If you're interested to learn more about making bread at home, there are several low-carb options that are packed with nutrition. If you’re also hoping to keep your blood sugar under control, there are low Glycemic Index (GI) bread options. However, these types of bread may be quite different from what you’re used to in terms of taste and texture: low-GI bread tends to be extremely heavy and is often made with sprouted grains. While low-GI bread might take some getting used to, if you’re trying to watch your carbs, the swap is worth it. The carbs in low-GI bread are harder to break down, so your body is less likely to convert them to sugar. Pasta is often one of the hardest dishes for people to cut back on when they’re switching to a low-carb way of eating, but there are many options to recreate the experience. Pasta noodles are often really more a vehicle for sauces and toppings, so replacing the carbohydrate-laden base with something else is one of the easiest ways to make your favorite dish low-carb friendly. Many of these alternatives take just as well to a marinara sauce or a simple tossing in olive oil and parmesan as traditional pasta. When you have a pasta craving that the alternatives just don't satisfy, choose low-carb pasta noodles or traditional pasta that's 100% whole grain. Cook your pasta al dente (still slightly firm to the bite). Preparing the noodles this way makes it slightly less likely to cause a spike in blood sugar. As long as you keep an eye on your portion size, a small serving of traditional pasta won’t disrupt a moderate-carb diet. Most of the boxes you’ll find in the cereal aisle are heavily processed and invariably have a high glycemic index. While you may be able to find some low-carb breakfast cereals at co-ops, specialty grocery stores, and online, be sure to read nutrition labels carefully to check the product’s total and net carbs. If you’re on a strict low-carb diet, your best bet may be making your own cereal. In addition to having more control over the carb count and other nutrition content, you’ll know exactly which ingredients are used and how much, plus you’ll be able to dole out portions in line with your plan. Of all the popular high-carb foods, potatoes are the most likely to make your blood sugar spike. The reason for this is biochemical: the starches in white potatoes are made of long strings of glucose. A cup of cooked white rice has a glycemic load (GL) of 35, excluding it from most low-carb diets. Brown rice fares only a little better with a GL of 20. Milk contains carbohydrates in the form of lactose. While it tends to have less impact on your blood sugar, lactose is a "hidden" carb that’s easy to miss. This doesn’t mean you need to avoid milk—its nutritional benefits far outweigh the consequences—just pay close attention to your intake. While a cup of heavy cream (7 grams) or half and half (10 grams) would also contribute carbs, a typical serving is far less than a cup. Mixing creamer into your morning coffee, for example, would only warrant a tablespoon. Some yogurts have far less lactose than the milk they're made with. Not only are these options suitable for a low-carb diet, the fermented varieties like kefir are also especially good for your digestion. In moderation, allowing yourself the occasional sweet and your favorite dessert is part of a balanced diet. That being said, there are many treats that will satisfy your sweet tooth and fit into your low-carb diet. Keep in mind that while artificial sweeteners can technically fit into a low-carb eating plan, there are some potential downsides you should be aware of. Reaching for low-sugar fruit will give you the sweet taste you crave without adding extra sugar, fat, or calories. When what you really want is a bite of your favorite dessert in its full-fat, real-sugar form, you don’t need to completely deny yourself the occasional treat. Just be mindful of your portion size and save the indulgence for special occasions, like holidays or your birthday, rather than letting these foods become part of your regular diet. USDA Food Composition Databases. https://ndb.nal.usda.gov/ndb/.